A comet may have hit the planet Neptune about two centuries ago. This is indicated by the distribution of carbon monoxide in the atmosphere of the gas giant that researchers - among them scientists from the French observatory LESIA in Paris, from the Max Planck Institute for Solar System Research (MPS) in Katlenburg-Lindau (Germany) and from the Max Planck Institute for Extraterrestrial Physics in Garching (Germany) - have now studied. The scientists analyzed data taken by the research satellite Herschel, that has been orbiting the Sun in a distance of approximately 1.5 million kilometers since May 2009. When the comet Shoemaker-Levy 9 hit Jupiter sixteen years ago, scientists all over the world were prepared: instruments on board the space probes Voyager 2, Galileo and Ulysses documented every detail of this rare incident. Today, this data helps scientists detect cometary impacts that happened many, many years ago. The "dusty snowballs" leave traces in the atmosphere of the gas giants: water, carbon dioxide, carbon monoxide, hydrocyanic acid, and carbon sulfide. These molecules can be detected in the radiation the planet radiates into space. The instrument PACS was developed at the Max Planck Institute for Extraterrestrial Physics. 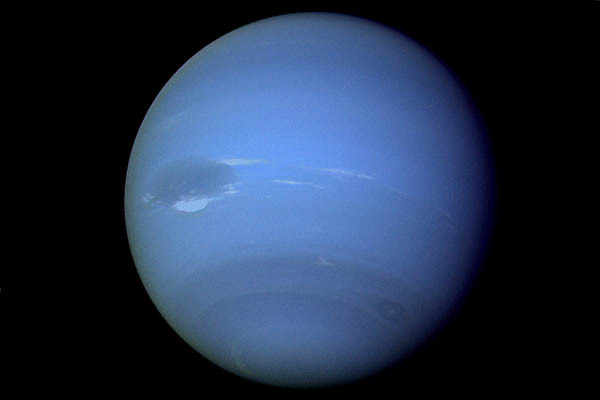 It analyzes the long-wave infrared radiation, also known as heat radiation, that the cold bodies in space such as Neptune emit. In addition, the research satellite Herschel carries the largest telescope ever to have been operated in space.